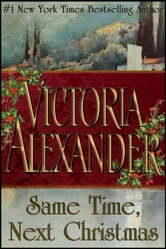 From #1 New York Times bestselling author, Victoria Alexander, comes a romantic Christmas historical—which features the happily ever after story of a fan favorite—and how one little impetuous moment can lead to the miracle of love! My friends have always considered me the most proper among us. But no one was more surprised than I, Portia, Lady Redwell, when I decided to flee the matchmaking efforts of my family to spend Christmas in an enchanting villa on the coast of Italy. My admittedly impulsive plans were immediately complicated by the presence of a certain gentleman, Mr. Fletcher Jamison, who insisted he had a claim on the villa. It was only in the true spirit of Christmas that I agreed to share the villa with him. His charm, his blue eyes as dark as the December seas, and the laugh that oddly seemed to fill my soul were not considerations. That I returned again for Christmas is due entirely to the charm of the villa, and nothing at all to do with the fact that he too would be there. My friend Veronica has often said those least likely to bend are most likely to snap. 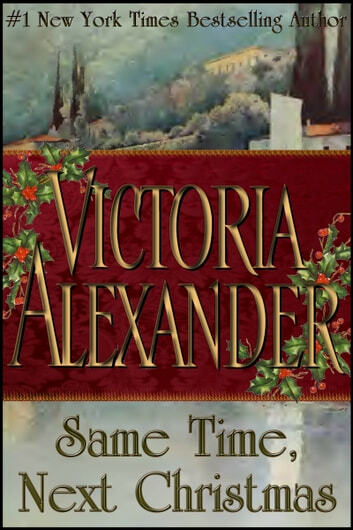 The best of regency lies at the hands of Victoria Alexander. From her quirky characters to her enchanting tales, she knows what it means to captivate readers. From humor to heart, Same Time, Next Christmas piles on the charm. From beginning to end, the most endearing of moments is the ones that surprise us all. Fletcher and Portia bring sentiment to life and take romance to heart in this flighty and flirty tale.